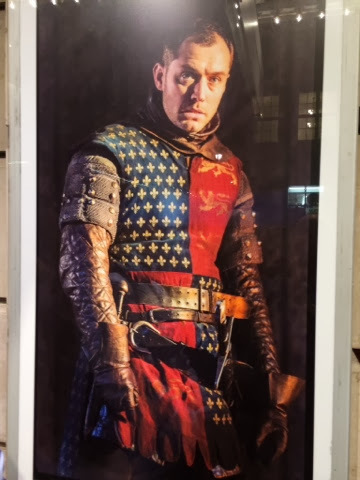 Last week Stuart and I went to see Jude Law perform in Henry V at the Noel Coward Theatre in London's glitzy West End. The play is a fairly straightforward account of Henry V's attack on the French at the Battle of Agincourt and his subsequent woeing of Catherine of Valois. Mr Law gave a super performance as the battling king and as a straight history play it's fine. It begins to sparkle however when Shakespeare give full rein to his witty prose in the woeing scene. This is the last of Michael Grandage's productions at the Noel Coward and I for one will be sorry to see him go.